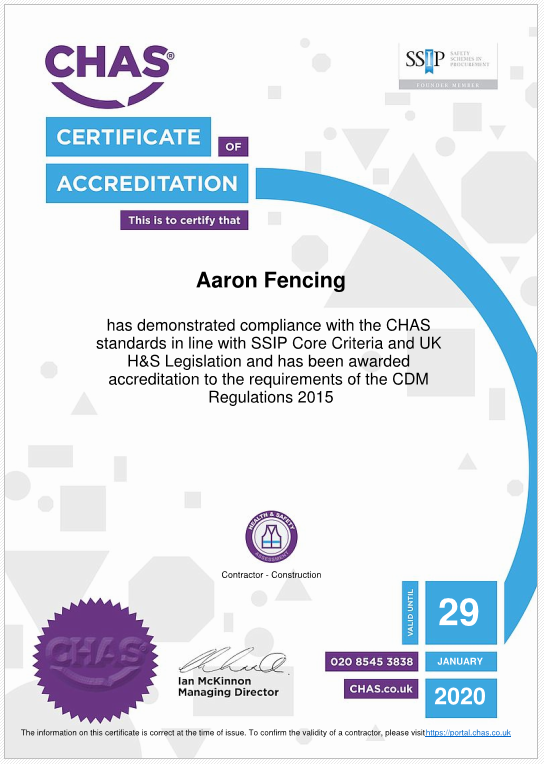 At Aaron fencing we are extremely proud to be accredited with a number of trade bodies who recognise our commitment to high quality craftsmanship, customer care and safety. Below are a number of organisations and the accreditations we have received. 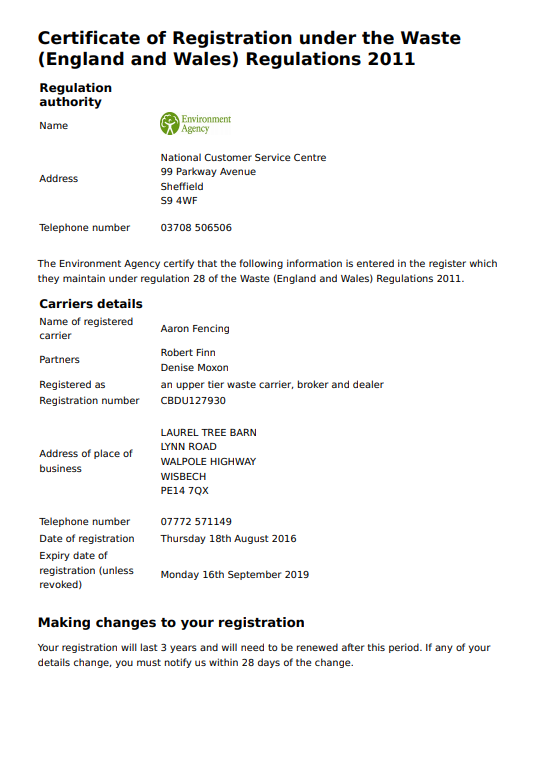 To view a full size, current, valid certificate just click on the individual images below to view in a new window. 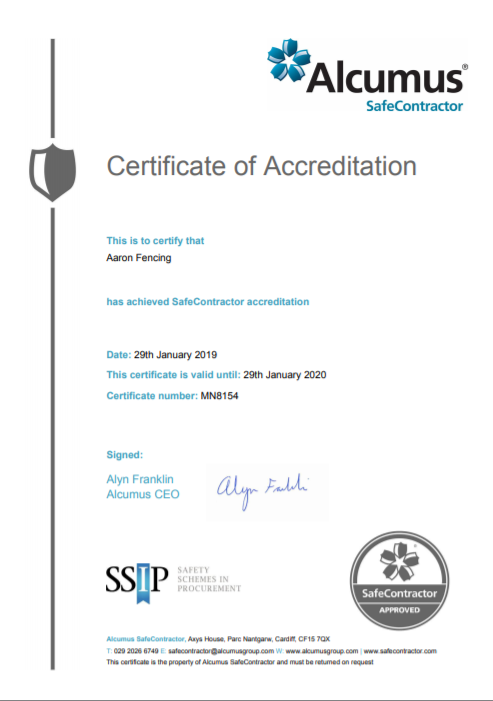 SAFEcontractor is an accreditation scheme that assesses the health and safety competency of contractors and service providers. 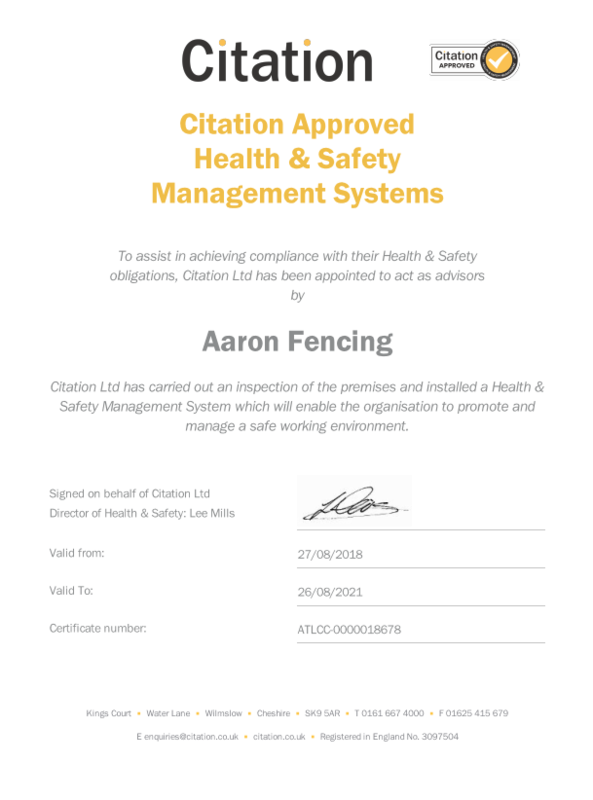 Aaron Fencing is now SAFEcontractor accredited to reduce health and safety risks to our clients and help them fulfil their legal obligations by ensuring contractors working on their premises operate in a safe way. Denise Moxon, from Aaron Fencing explains, "Health and safety on-site has always been a key focus for Aaron Fencing. 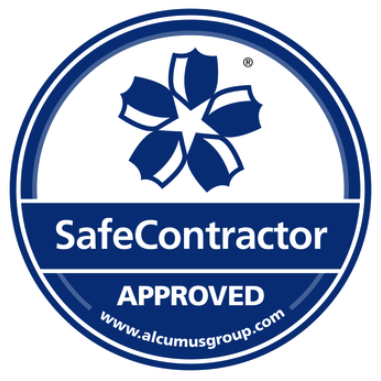 Joining the SAFEcontractor scheme has allowed us to independently prove this commitment and increase the confidence of our clients". 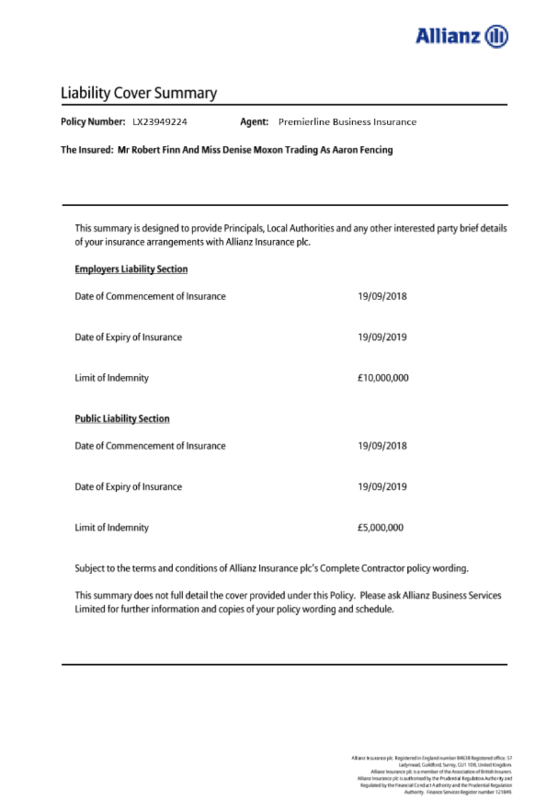 This is a scheme developed by local authority health and safety and procurement professionals, with the support of the Health and Safety Executive for use by any public and private sector organisations when shortlisting contractors. 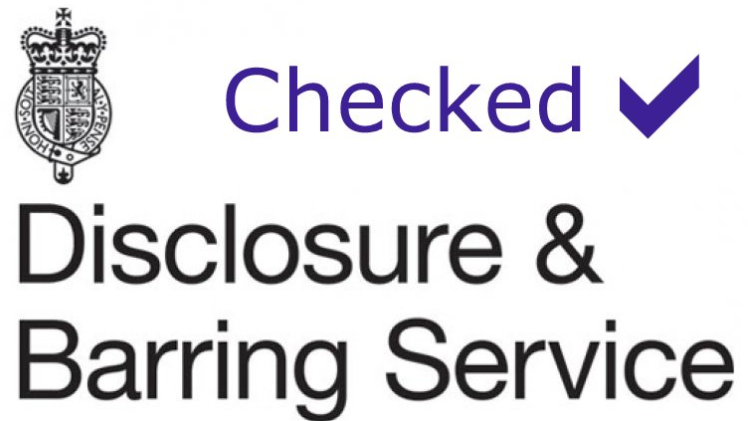 Companies accredited within the scheme meet Cacceptable standards of health and safety compliance. 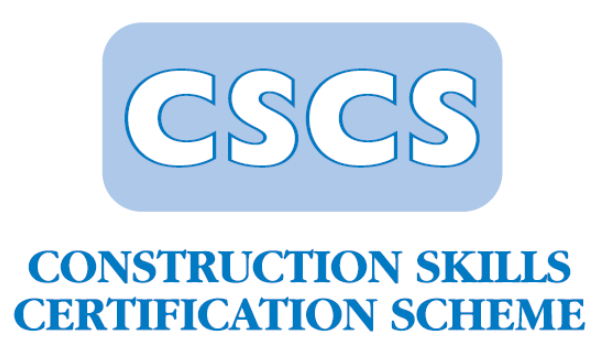 All our staff at Aaron Fencing hold the relevant CSCS card for their job.